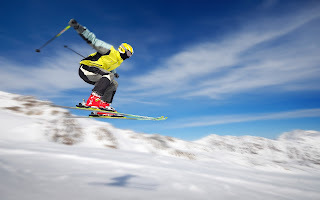 This is the first of a series of Ski Racing tips and theory from various acclaimed authorities throughout the racing faternity, applying this along with the advice from your Ravens coach should allow you to perform at a higher level. So what do you need to do to be totally prepared to ski your best on race day? If you ask the top-ten men and women on the World Cup, you will probably get 20 different answers. But, having asked this question of many world-class ski racers, I have found five themes that underlie their responses. The life of a ski racer can be stressful. There are many things that you can worry about and that can make you depressed, angry, frustrated, and distracted, all of which will hurt your skiing. Unfortunately, many racers worry about the wrong things. The big problem is that many racers get stressed out about things over which they have absolutely no control. In your ski racing life, there are some things you should think about and others you shouldn't. Things that you should pay attention to are those things over which you have control. These things include your physical condition, effort, attitude, thoughts, emotions, behavior, equipment, and preparation. All of these are within your control, so by thinking about them, you can ensure that they are all working for you rather than against you. At the same time, things in your ski racing life that you have no control over, yet you still may think about, include competitors, coaches, officials, parents, start number, weather, terrain, and snow conditions. If you think about these, you're creating stress, wasting energy, and preventing yourself from focusing on aspects of your skiing that will actually help you ski fast. The next time you find that you are under stress, ask yourself one question: "Is the thing that I am worried about under my control?" If it's not, let it go and focus on things you can control. If it is within your control, instead of worrying about, do something about it! A disagreement I have gotten into with coaches involves whether it is good for racers to think about technique right before and during a race. They argue that if they don't think about technique they won't ski well. But it's my belief that if you have to think about technique on race day, you haven't fully ingrained it and one of two things will happen. Either you will not be able to use the technique in a race or you will be so focused on the technique that you forget to go fast. 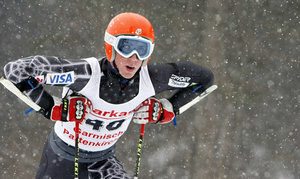 Yes, for some racers, particularly young ones, a specific technique may allow them to ski fast. But good technique and speed aren't always connected. There is a time and a place to think about technique. That time is during training. It is here that you analyze your skiing and focus on a particular part of your skiing in order to develop it. 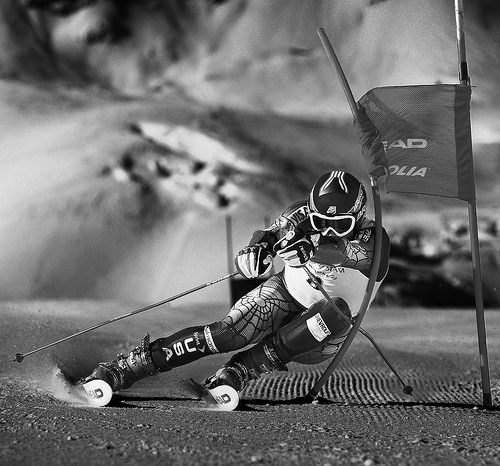 With repetition in training, the new technique becomes automatic and it will then help you to ski faster in races. But when race day arrives, you shouldn't question, doubt, analyze, or think about technique. If you do not have a technique down by the time you get to the starting gate, you probably won't be able to use it effectively in the race. Whatever capabilities you bring to the start, trust yourself, and go as fast as you can with what you have on that day. A major source of stress for ski racers is the unexpected things that can come up on race day. The natural reaction to unexpected events is to, well, freak out. You worry, lose confidence, become tense, and get distracted. In that mental and physical state, you have little chance of skiing your best. During the course of a race weekend, all kinds of things can wrong. On the way to races, airlines can lose skis and bags can be stolen. 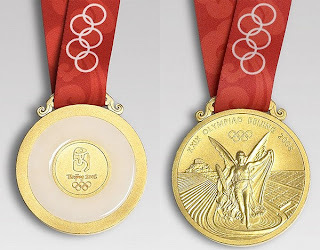 At the races, skis can get broken, goggles can become fogged, and buckles can break. If you're not prepared, you're going to stress out and probably ski poorly. There are two ways to deal with the unexpected. First, expect the unexpected. This can be accomplished easily. Take a sheet of paper and on the left side of the page, make a list of all the things that can go wrong at a race. Think travel, weather, gear, and start schedule, for starters. Then, on the right side, list solutions to these events. For example, if skis are stolen, racers should know someone beforehand who has an extra pair of skis that is similar to their own and who is willing to lend them. Or, if racers have fogged goggles, they can carry some napkins or have an extra pair in a bag at the start. Using this strategy, you prevent yourself from freaking out by preventing the unexpected event from being, well, unexpected. Of course, you can't anticipate everything (s#*& happens! ), so the key then becomes how you react to that unexpected thing (e.g., the lift stops and you might miss your start). You have two choices here. Either experience the aforementioned freak out, which I'm sure you would agree doesn't do you any good. Or stay calm and look for a solution to the unexpected event. I can assure you that you will feel and ski a whole better if you can keep your cool. And it's been my experience that, with 20/20 hindsight, that thing that caused you such stress wasn't really worth the reaction. The most critical period before your race run is the time you spend in the start area. What you do there will often dictate the success of your run. There are three things that must be done to ensure that you ski your best. First, you must prepare your equipment: bindings, edges, bases, boots, clothing. The last thing you want to worry about before your run is your equipment, so you want to get it ready first. Second, you must get physically ready. 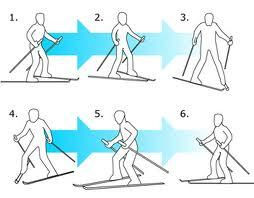 This involves stretching, doing warm-up exercises, and making turns. The best measure of whether your body is ready to ski its best is if you have worked up a sweat. A sweat indicates that your muscles are warm and loose, and you have plenty of oxygen and blood flowing through your body. Finally, you must get mentally prepared. 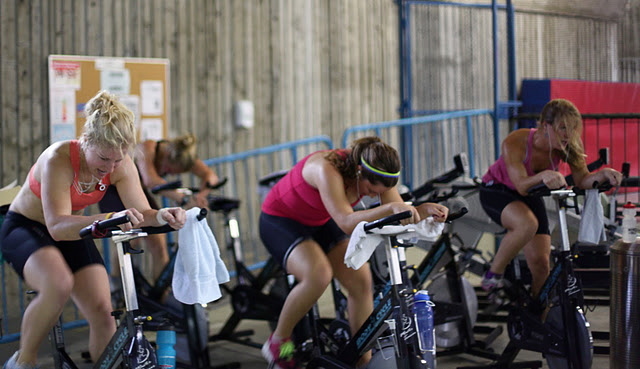 This phase involves putting on your "race face," that is, narrowing your focus onto the race, using mental imagery to rehearse key parts of the course, thinking positively, and actively moving toward your ideal intensity. This preparation will lead to a level of readiness in which, as you enter the starting gate, you are totally prepared to ski your best and you only have one thing on your mind: skiing as FAST as you can! When you're on course, there is no room for being tentative. If you let up or back off in the middle of a run, you're going to get into trouble. At best, you will be slow. At worst, you will ski out or fall. One of the most important things you must do when you get into the starting gate is to be totally committed to going as fast and aggressively as you can. To ski fast, you have to be 100% committed to skiing the very best you can. Unfortunately, as you develop as a racer. you will often come upon courses, terrain, or conditions that you think are over your head. 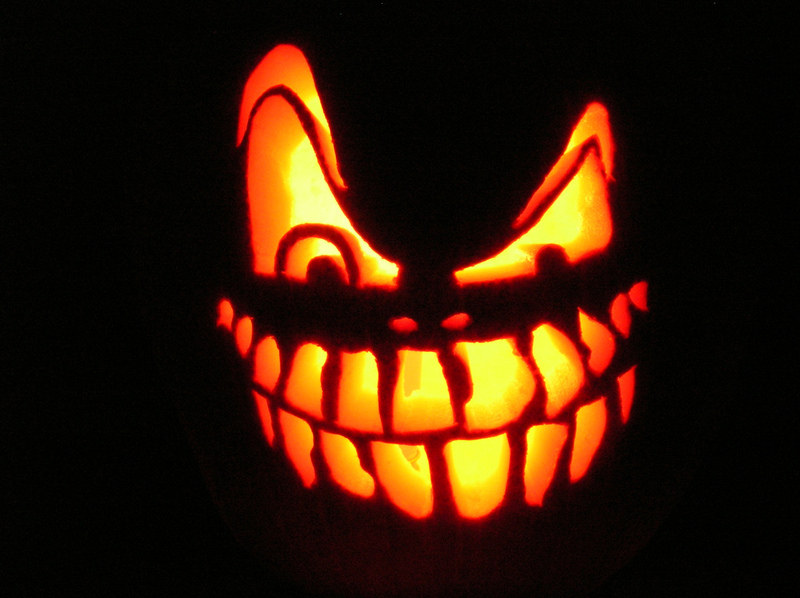 You may be uncertain about going all out. This uncertainty creates doubts and anxiety. If you try to ski these when you are uncertain, you are going to ski tentatively and bale out at the first sign of trouble. So before your race run (in fact, training runs too), make sure that you are focused on skiing to as aggressively as possible. Make sure you are totally committed to doing it all the way. If you aren't totally committed, get refocused and committed, then GO FOR IT! By being committed, you will ski better and faster, make fewer mistakes, and have a whole lot more fun. You only have one shot at life (there are no do-overs). Have you ever played it safe in a race, saw how slow you were, and kicked yourself for not having gone for it more? It's a terrible feeling! You look back up the hill and wish you hadn't skied so timidly. Finishing just doesn't feel very good. After every race run, you want to look back up the hill and, whether you finished or not, be able to say that you were going for it. If you DNF, there's the frustration of having not finished, but the satisfaction that you were going really fast. 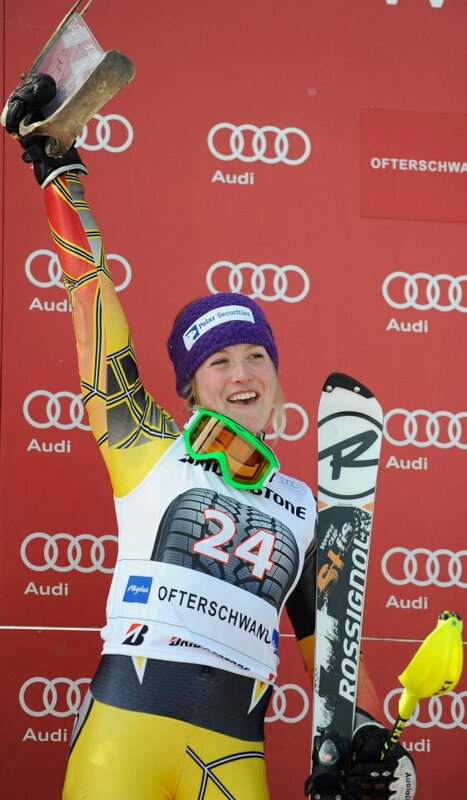 There is one emotion you never want to feel and one question you never want to ask in your ski racing (or life). The emotion you don't want to feel is regret. What's regret? Wishing you had done something different (unless you have a time machine, that was an opportunity that you can't get back). The one question you don't want to ask is "I wonder what could have been?" After your race run, race, season, career, and life, the statement you want to be able to make is "I gave it everything I had." And the emotion you want to experience is pride in knowing that you left it all on the hill. 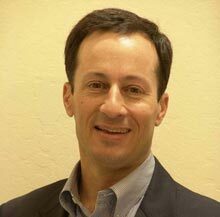 Dr. Jim Taylor drjimtaylor.com knows the psychology of ski racing! He competed internationally for Burke Mtn. Academy, Middlebury College, and the University of Colorado. countries. 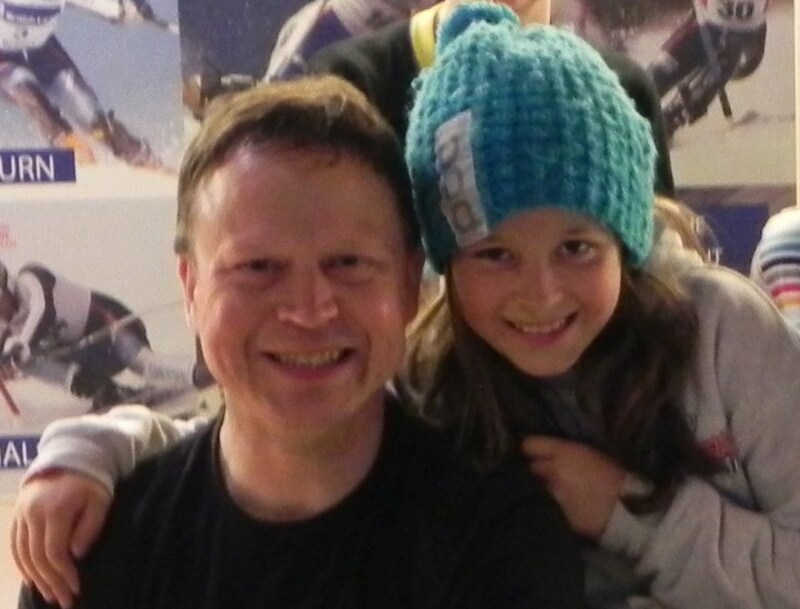 He is the author of Prime Ski Racing Triumph of the Racer's Mind. 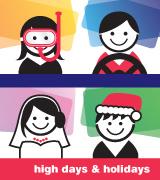 Dr. Jim is also the author of two parenting books and speaks regularly to parents, students, and educators around the U.S..
Now that you have over eaten on Christmas day it's time to start thinking seriously about next years skiing. As you know after the last very succesfull trip to Castleford indoor ski slope in Leeds, Ravens are organising another trip on Saturday, January 5th (8am - 11am). There are still places for the trip in January so please contact John Greenwood with your numbers. 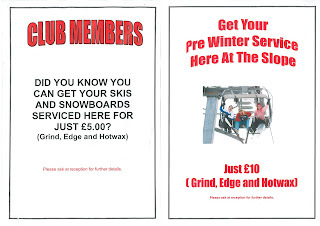 The cost is £ 28.00 per person for 3 hours on the slope and £5 for tuition, if you need ski hire this is FREE!! Recently I was asked the question, "What characteristics/factors would you say are most important in young skiers to help them have success in skiing in the long term." 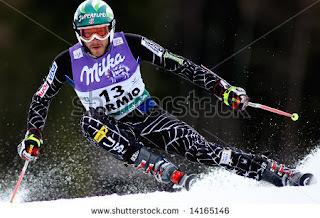 1) Perseverance: Many skiers that have been injured know a lot about this characteristic, as do all skiers. I don't think that a skier can become successful without this trait. There are so many factors that you have to persevere through in the world of skiing. I had to work through a lot to reach where I am today, and the struggles are far from over. I think that it is important to endure these struggles, learn from them and come out on the other side. Sometimes it's okay to cry (although less often in my case would be better). In every day whether good or bad, there is a lesson. A lesson of what to try, what to try again, or what to never allow yourself to do again. I don't want to be negative, however I feel the need to be realistic. Every athlete, whether young or mature, will struggle, and it is important to live through these struggle, never give up and learn. 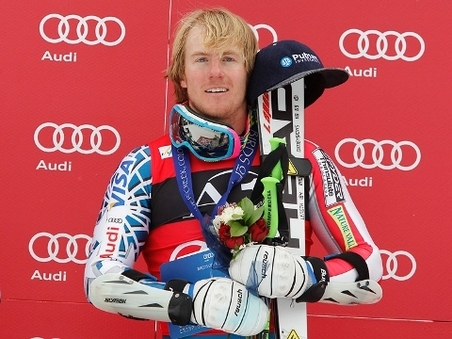 2) Hard Work: I don't know many skiers that don't work as hard as they can. I try to do everything I can to be the best that I can be. Fall down... but make sure you get back up. I watch video, I visualize, I train hard, even when I feel I can no longer train any more, I answer my emails, I fill out my training forms, I talk to a sports psych, but most importantly I try to learn. I keep my eyes, ears and mind open to whatever tid bits come my way, whether they are about the new skis, how the rules work, what the new helmets are made out of, how to eat properly. etc. 3) Have Fun: Most importantly, have fun. I honestly cannot stress this enough. At a young age, having fun is easier to do. You are surrounded by family, friends, coaches and success. I disagree with pushing a child to the point that they are no longer loving what they are doing. 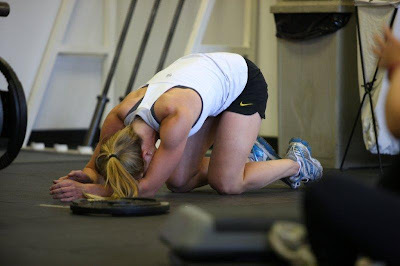 Of course, I agree with tough love, hard work, pushing through pain, pushing past limits, however when an athlete finishes day after day with more frowns than smiles, they will not continue. 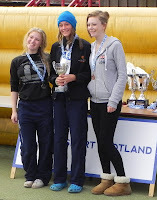 They might ski for a few more years, but no matter how good they are, this will be a limiting factor. I think a lot, I train a lot, and I need time to balance this out. I take it seriously when I don't do well. I get upset when I don't finish, but after that day is done I do something that I enjoy. I take a free run with my music blaring (I know, frowned upon), I dance on the chair, I talk to a friend, I read a book, or a let it go and know that the next day will be better. Lets see if she can get a podium today!! So if you arn't able to get up close and personal with the current leader of the Ladies World Cup Competition then catch her on the Eurosport Player. It currently costs £ 1.99 per month to subscribe to British Eurosport and British Eurosport 2. Or if you have an internet connected TV with an app programme such as Viera (Panasonic) you can open an account for just £4.99 per month and get the feeds direct to your wide screen TV. 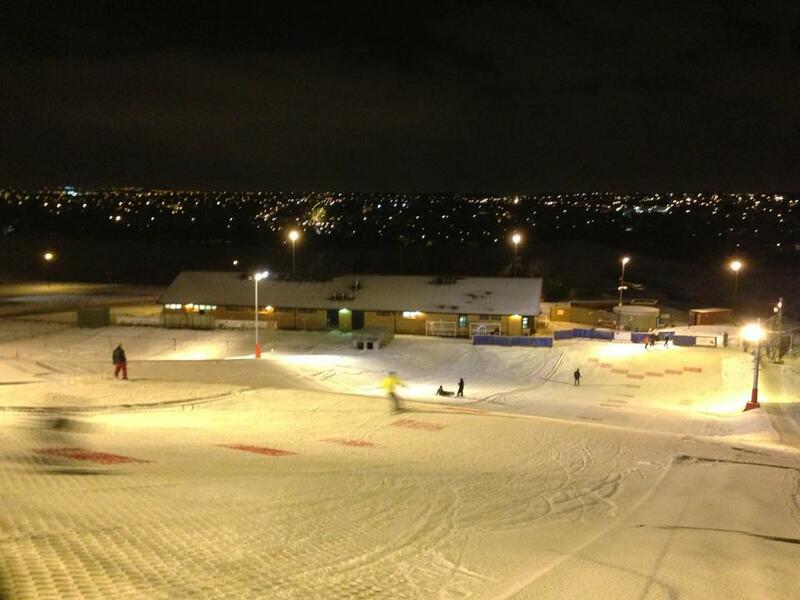 After the last very succesfull trip to Castleford indoor ski slope in Leeds, Ravens are organising another trip this January (5th). As before the format is that the coaches will provide slalom training through gates for those wanting to hone their technique and also general instruction for mums and dads who don't want to ski the slalom course (although there is no harm in having a go!). This is an excellent way to get your snow legs back and get used to the white slippery stuff so speak to John Greenwood or one of the coaches next Wednesday. 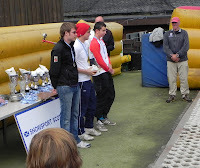 It is also essential for all racers going to Bormio to the English champs in February. Real, yes, R E A L S N O W fell on mount Silksworth yesterday and allowed Ravens die hards to practice on the real stuff. For those who didn't make it to the slope the snow is forecast to stay there all week so you can benefit from the facilities for a bit longer. If you are planning a ski trip to Europe or beyond this year its a great chance to get some practice in and if you are able to make Wednesday nights you can get some coaching to improve your technique. Yes it was another fun packed day at Sunderland dry ski slope today with most of the skiers dressing up in fancy dress. 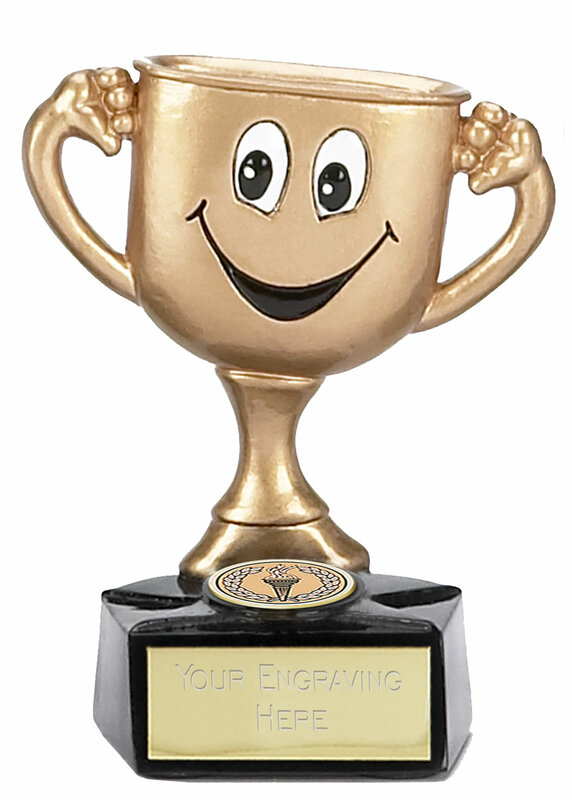 So congratulations to Ben, Dan, Timba, Rory, Tom, Roddy, Ian, LOL, Kat, Emer, Millie and Georgie, not forgetting Jessie the dog in her toon top. Congratulation once again to Rory Farren and Ian Jackson for pulling out some top draw performances at tonight's third Winter Series Race Night. The Doctor has certainly been taking the right medicine as he produced two sensational runs to take second spot in the race and first spot, ahead of Richie TED Weir in second for the masters. Well done to Ian. Sadly Rory's Dad and ski technician supremo, Claude the Red Barron Farren, skied out on his last run claiming he would have "high sided" if he had made the gate - you'll have to review that one with Big Dave when you're in Tignes next month Red. Congratulations are also worth awarding to Matty Cook who produced 3 great runs to finish him in 4thh place behind Tom Larby who produced a solid performance as usual. If you have any comments please use the comment reply section of the blog at the bottom of this blog. 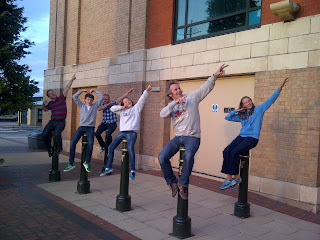 Its another fantastic race night tonight with all the excitement of a FIS race. 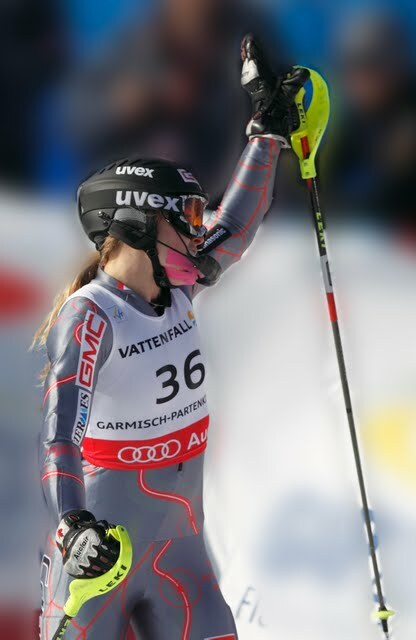 We have just heard that Lindsey Vonn is back to full fitness after she skied nearly a second faster than the day's second quickest racer, Maria Hoefl-Riesch, at the Lake Louise downhill training on Tuesday. 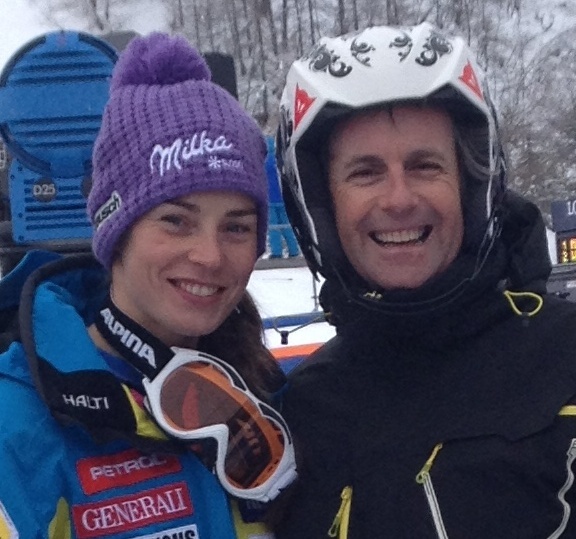 Lets hope its the same for all of our top skiers and especially The Doctor - Ian Jackson, who like Linsey has been perfecting his technique through hard work and dedicated mental conditioning - good luck Ian. Well done to the dedicated Jackson girls and Kat who turned out in appalling weather to practice for this Wednesday's race night. As a special favour our No1 race coach Lee Bennett set up a near identical race course to allow the girls to practice. 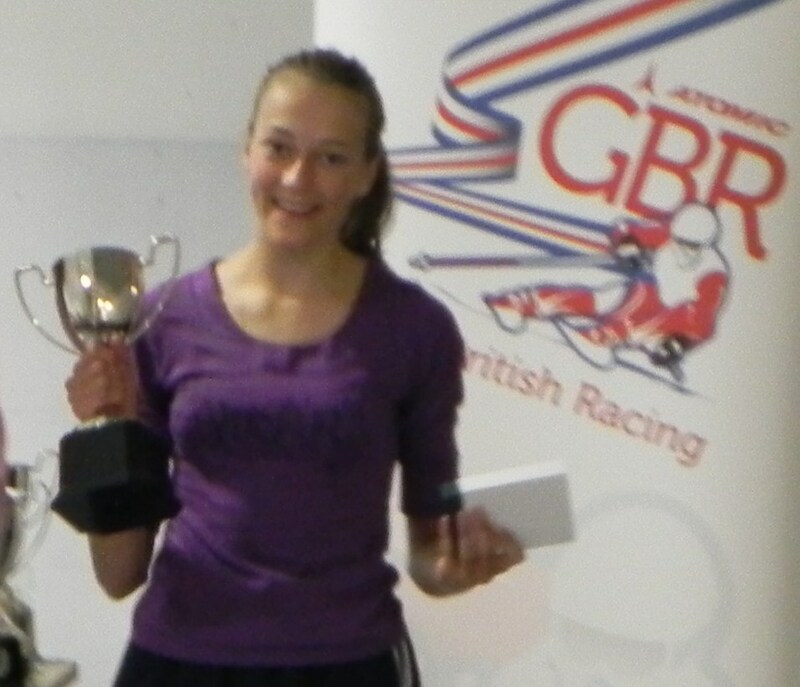 Lois Jackson said, "I'm a dedicated racer and I'll do anything to win a Yorkie". 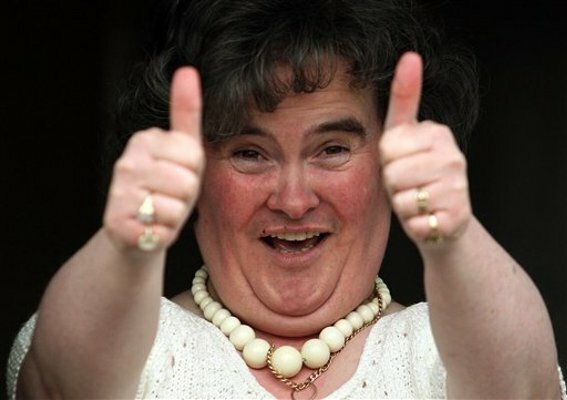 Even The Doctor said he preferred the wet conditions, but we knew that from his former successes! Ravens are offering FREE COACHING to any Polar Bears coming along this Wednesday. Our very own Brian Morris has been hard at work with his pencil and paper to come up with the Ravens Racers seed points for the first 2 winter series races. Just to be like Adam O'Mara, Emer Weir has also broken (fractured) her thumb (while skiing) and is off to the RVI tomorrow to have them fix it. Well done to her mum and dad who ignored her cries for help for the past 10 days! 1. Next week is Monthly Ravens Pass week where you can purchase your pass for the month and make a massive saving. 2. Our new Chairman John Greenwood has organised a snow trip to Xscape at Castleford, Leeds for those who want to experience indoor snow racing. Its a family trip with coaching for the parents as well as the kids. Date is 10th November 2012. The days are intended to enhance the Agility, Balance, Coordination and Speed Movement of the athletes and are sure to be, as always, fun and challenging. The days will consist of 1 hour off slope training around the surrounding area, followed by 4 hours on the slope training, which will include technical work focused around the ABC's followed by some 'Carrot' and 'Stubby' Training followed by some 'Full Gate' Training and a competitive race. 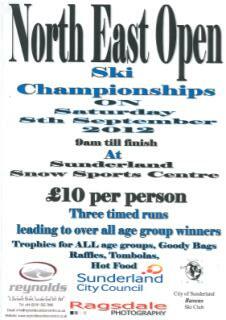 Both days will cost £30 each which costs of slope hire and coaching (full payment required on the day). 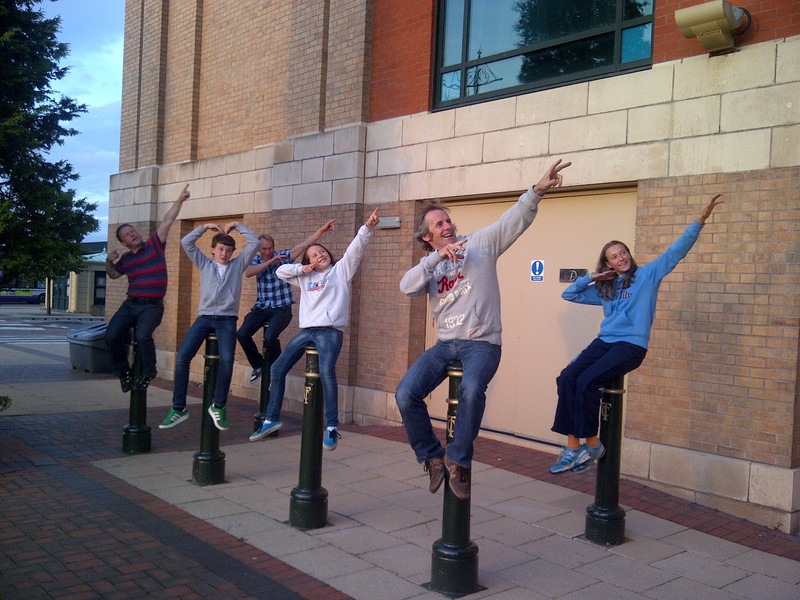 A discount of £25 per athlete will be applied to any further siblings attending the course. 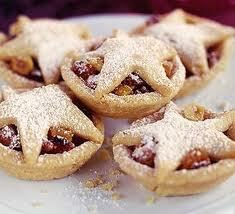 All athletes should come prepared for all weather conditions with food and drink to see them through the day. Any questions or to book a place on the camps please call or text Lee on 07966028093. 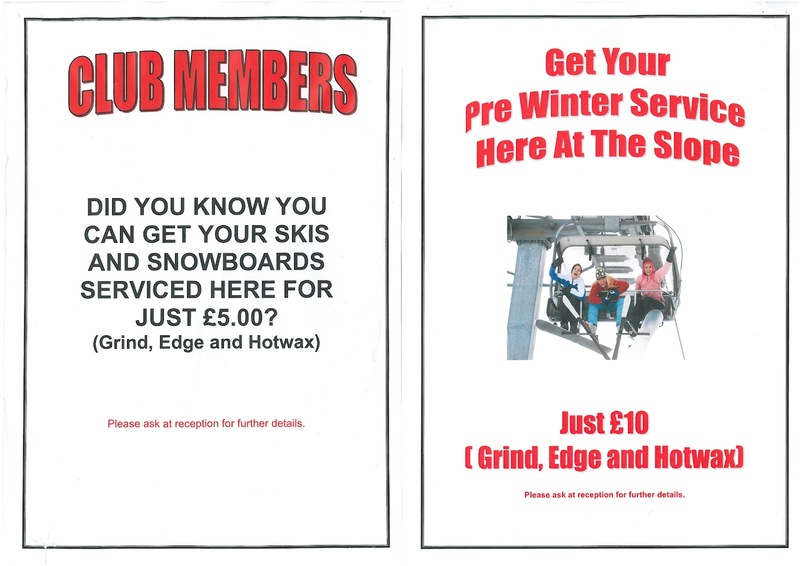 Fantastic news - Silksworth Ski Slope are offering all Ravens Skiers an exclusive pre-season ski grind, edge and wax for only £ 5.00 (£10 for non Ravens). Don't miss this fantastic offer ! Your can download an entryform from here .... http://macoungroup.files.wordpress.com/2012/08/entry-form.jpg or pick one up at the slope any time. 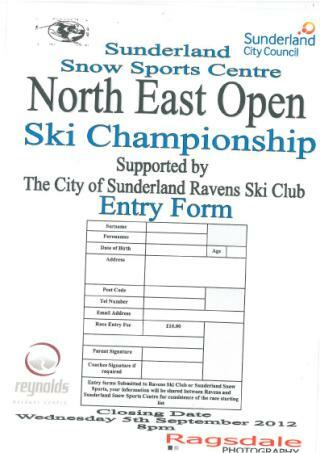 Sunderland Ski Slope have kindly offered free skiing to all Ravens and their friend this Saturday and Sunday. So nows the chance to get some practice in before the racing at the end of the month. This Sunday, the fun continues with RDS Training run by Craig. 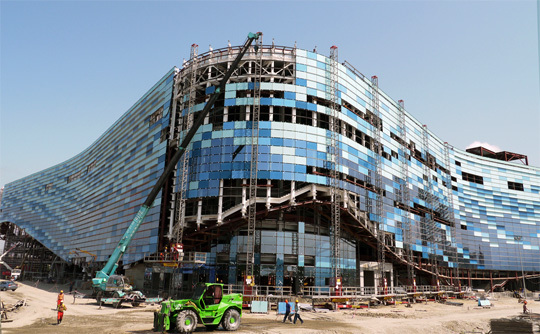 Great News - Sochi 2014 just 541 days away!!! Yes that's right....after the fantastic performance of Team GB at the London Olympics all eyes are now on the Winter Olympics on 07 February 2014 in Sochi Russia. 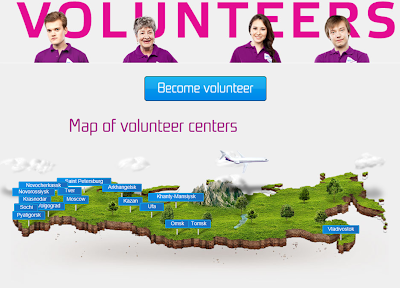 With the games starting in less than 2 years the organisers have launched a recruitment drive for volunteers just like the London Olympics. VOSS - Ravens are travelling to Voss next year (February half term) for another weeks slalom training and general instruction (for the mums and dads). Cost is likely to be c. £830 which includes your flight, full board accomodation, ski pass, coaching and packed lunch. 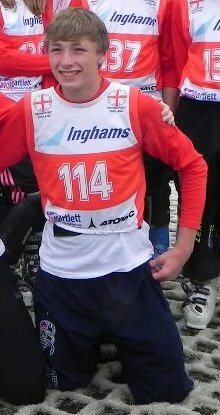 Bormio - Ravens are also heading to Italy for the English Alpine Championships (http://www.snowsportengland.org.uk/blog/2012/03/english-alpine-champs-2013). The cost would be £460 which includes all inclusive accommodation and coaching (approx costs). Lift pass approx £100 plus race entry then just transport to sort out! 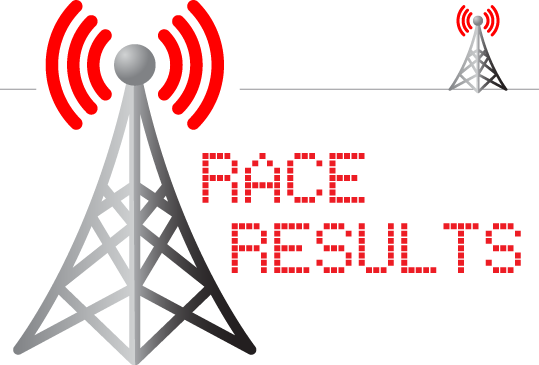 NEXT WEEK - is a continuation of the summer race series. So once again get those skis waxed up, there is valable points to be had. We are delighted to see The Sunderland Echo run a 2 page article about Ravens. Both racing and beginner athletes are mentioned with tips on how to get involved and what to expect in the way of coaching. For those new to this BLOG please read on and find out what we do at Ravens and how you can have fun with us. 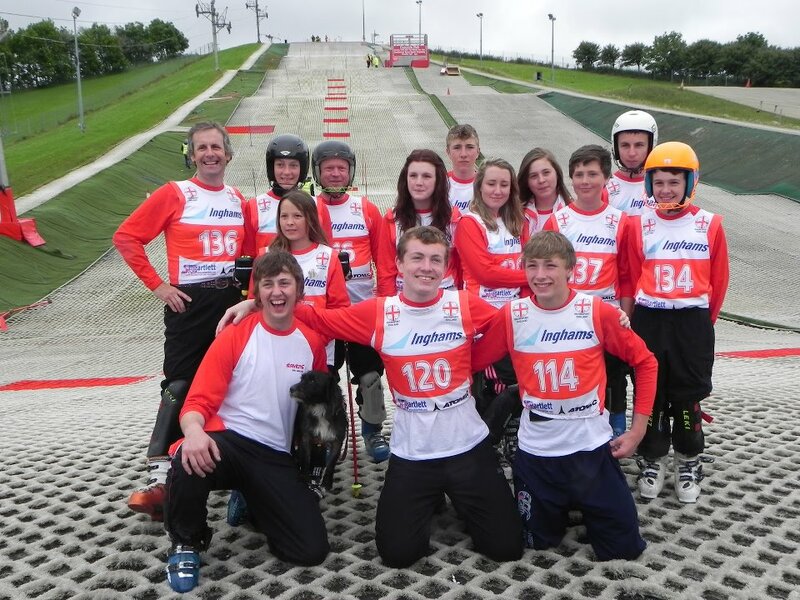 The Sunderland Echo will be running a feature this Thursday (12th) telling the story of Silksworth Ski Slope and Ravens success. After a fantastic weekend (7-8th July 2012) in which 3 of our junior ladies achieve first place in their respective age groups and two of the gents receive 2nd places, the Sunderland Echo has interview our committee to learn about the success and how others in Sunderland and Newcastle can get involved. Come along on a Wednesday night and mention this blog to our Treasurer who will give you a 50% discount off your first session.